Klangbeispiele zu "Gustav Mahler und der Wiener Klangstil heute"
In woodwind performance fingerings and tongue actions have to be coordinated. 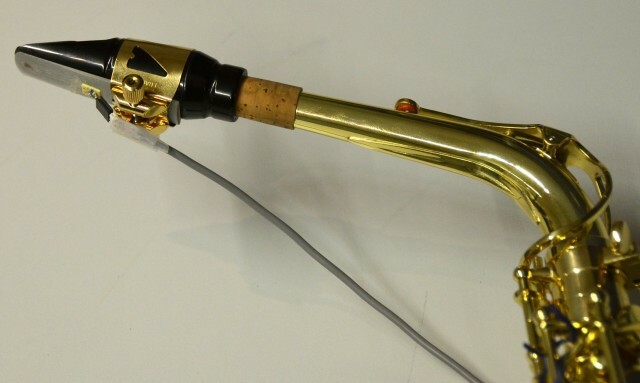 We designed sensor saxophone- and clarinet reeds, to measure articulatory tongue impulses of the player during expressive music performance. 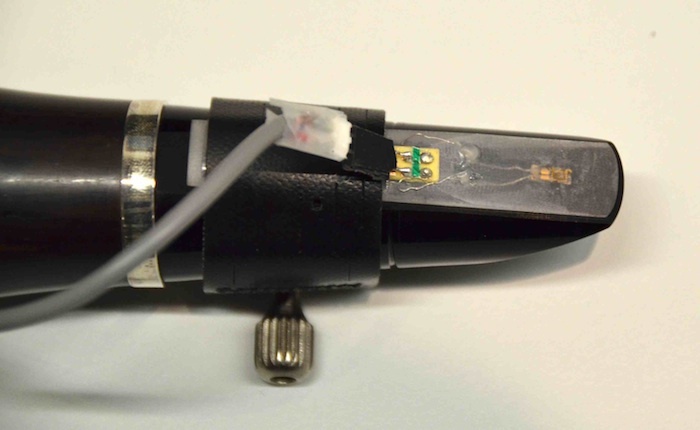 Signals from foil strain-gauge sensors, attached to synthetic single reeds enable us to investigate reed bending without environmental interference. Alto-saxophone sensor reed signals showing the note transitions (e4--d4--c4) under a tempo instruction of 179 ms inter-onset interval (audio sampling rate 11 kHz). 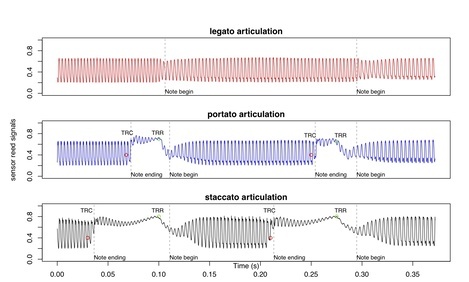 Legato articulation without tonguing (top); portato articulation with tongued note onsets (tongue reed release, TRR) and note offsets (tongue reed contact, TRC)(middle); staccato articulation, with extended tongue reed contact time (bottom). 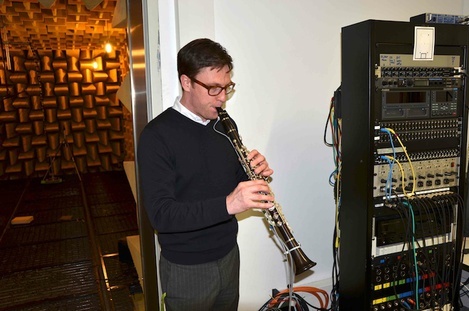 Insights about fingerforces and articulatory tongue actions will be gained from sensor clarinet studies.